Early Zhou art shows considerable continuities from Shang tradition. 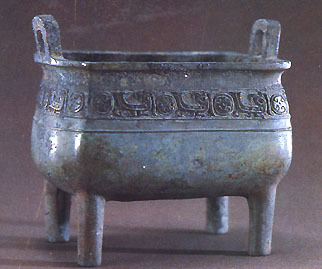 For the first two centuries of Zhou, all major vessel classes and all the main types of ornament used by the Shang continued to be used. 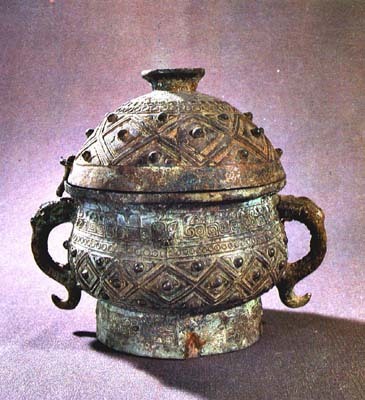 Ancestors remained central to the religious imagination in Western Zhou times. Bronzes were often inscribed with reports to ancestors detailing the achievements of their descendants. 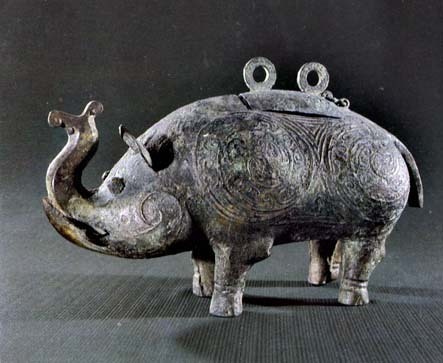 Bronzes also continued to function as symbols of secular power, and were often given as gifts by the Zhou kings to their followers. 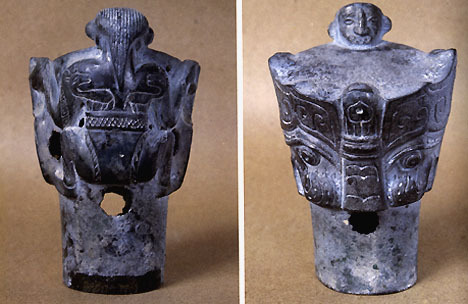 How do the shapes and decorative motifs on the bronzes from the count's tomb shown below compare to those in Fu Hao's tomb? 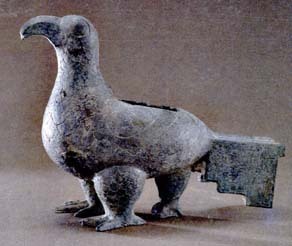 Some of the bronzes in the tomb present entirely new shapes. 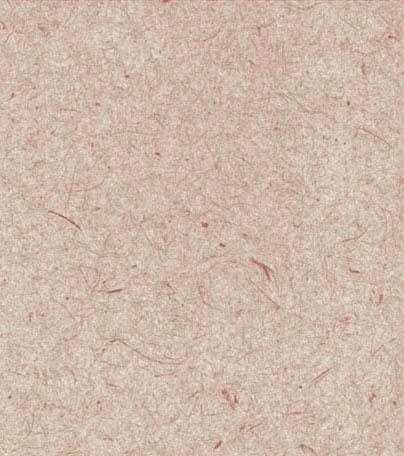 Compare this zun with the one from Fu Hao's tomb. How is the treatment of the animal forms different? Why do you think the bird below has three legs? Does this vessel remind you of shapes in another medium? 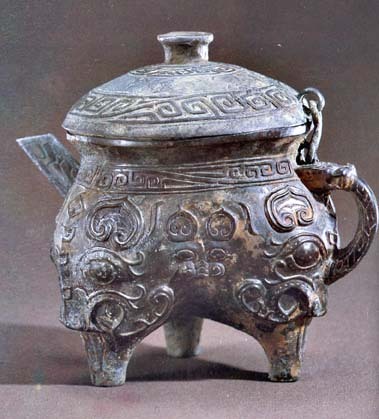 What do you think of the surface decoration on the vessel below and above compared to that on Shang bronzes? 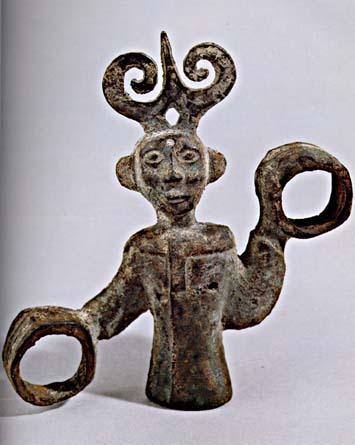 What purpose do you think this bronze figure may have served? What function do you think the piece below would have served on a chariot?